Hurry up, there's still some time left to enjoy Friends & Family Sale which is available at Nine West online. 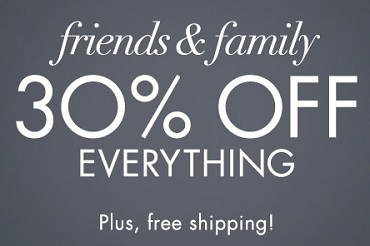 Take 30% off everything you can buy! The offer is valid online only. You can also enjoy a free shipping on all online orders. The offer ends today (10/25/2016). Official source of the information is Nine West. For more information visit Nine West online.